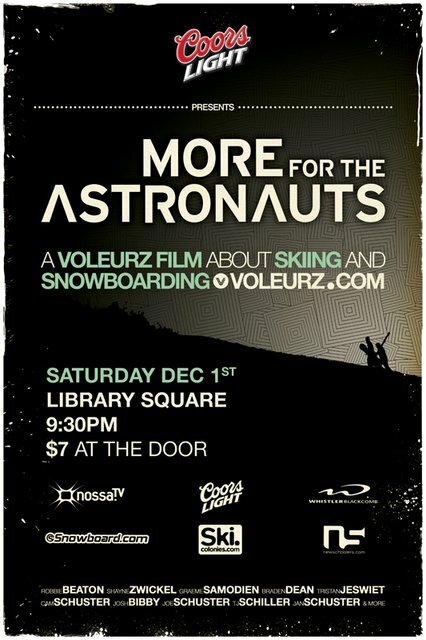 The Voleurz Family will be throwing their final premiere party in VANCOUVER this Saturday to showcase the ski/snowboard film &quot;More For The Astronauts&quot;! The Family will be in the house with a booth set up to display their FRESHEST CLOTHING LINE to date! !